Nintendo's first-party fighter is a smashing success on Switch! Nintendo’s 2018 hit fighting game, Super Smash Bros. Ultimate, nearly outsold the franchise’s Wii U and N64 instalments’ lifetime sales during its first week on market. According to an interview published in Japanese newspaper “Nikkan Kogyo Shimbun” (kindly translated into English by Dr. Serkan Toto), Super Smash Bros. Ultimate surpassed 5 million units worldwide within a week of its release. The initial launch figures, which were provided by Nintendo’s President Shuntaro Furukawa, dwarf those of previous releases. 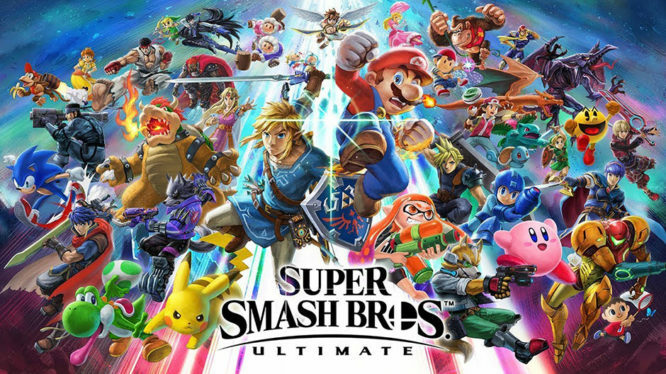 Comparatively, lifetime sales figures for Smash Bros titles on N64 and Wii U were 5.55 million units and 5.35 million units respectively (as of September 2018). With Smash Bros Ultimate reaching the 5 million mark in a single week, it’s not all that hard to understand how it became the fastest selling Nintendo Switch game in the US. During the interview Mr. Furukawa also commented on the current state of game sales on Nintendo Switch, revealing that Switch is seeing the fastest software sales of any Nintendo home console in history. Ever since its launch, the Nintendo Switch has seen tremendous commercial success and considering recent trends, there seems to be no sign of it stopping anytime soon.